#MemberMonday: Time Management Systems, Inc.
How many years has Time Management Systems been in Siouxland? We’ve been in Siouxland since the beginning – we started in 1985. What services do you offer? We offer time and attendance, payroll and commercial security. How many years has your business been a member of the Siouxland Chamber of Commerce? We have been a member of the Siouxland Chamber for 19 years. What do you enjoy most about being a Chamber member? 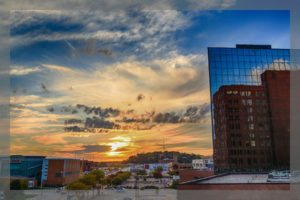 As a local, small business, we enjoy the business connections we make by attending events. What is your favorite Chamber event/memory? 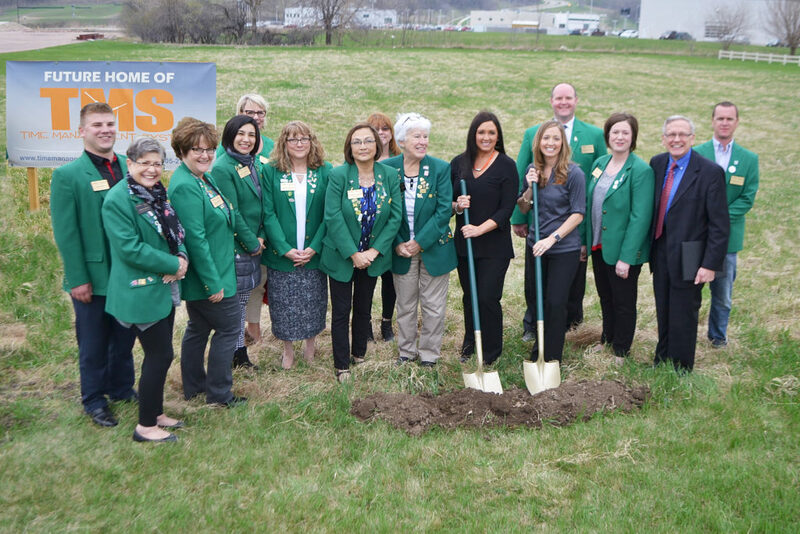 Our favorite memory was our groundbreaking ceremony held in April of 2017. What is a fun or surprising fact about your company/business? We have been family/woman owned since 1985. Each Monday a Siouxland Chamber member is featured on our blog and Facebook page. 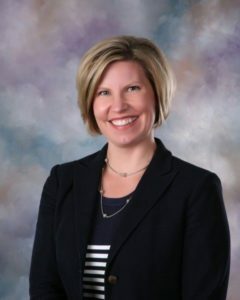 If you area member of the Siouxland Chamber and would like to be featured, simply complete this questionnaire and return it to McKenzie Matasovsky, Manager of Membership Engagement. Each week we randomly select a business who has turned in their completed form. This is a great way to receive an extra plug for your business and we LOVE to brag about our members! 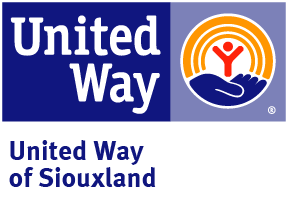 How many years has United Way of Siouxland been in Siouxland? 98 years. What services do you offer? United Way fights for the health, education and financial stability of every person in our community. How many years has your business been a member of the Siouxland Chamber of Commerce? We have been members of the Siouxland Chamber for 40 years. What do you enjoy most about being a Chamber member? We enjoy the opportunity of getting to know others in Siouxland. What is your favorite Chamber event/memory? The Chamber Annual Dinner is our favorite event. What is a fun and surprising fact about your company/business? United Way helped provide 42,000+ services last year. Sterk Financial Services is proud to be celebrating their 15-Year Anniversary! 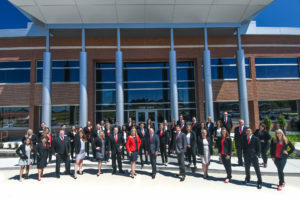 The Sterk Financial Services team is so proud to be celebrating our 15 Year Anniversary this year. The SBA says that only 25% of business make it to the 15 year mark, so we wanted to share something special to mark this occasion – our top tips on how to smooth out your ride. We know that for many people, investing in the stock market can be a bumpy ride. Some days markets go up, and other days markets go down. This can be scary for some, and exciting for others. This up and down roller coaster-like swing is also known as market volatility. Here are a few tips to smooth out your volatility and help you enjoy the ride. 1. Know your tolerance for risk. Are you aggressive and look at market dips as an opportunity? Or are you conservative and the big market swings keep you up at night worrying about the date you can retire? Perhaps you are middle of the road and feel a little bit of both. Whatever your tolerance for risk happens to be, it is very important to align your portfolio with volatility you can stomach. If you are not sure where you land, we can help you determine that thru a simple questionnaire and a conversation about what matters most to you. 2. Don’t make emotional buy and sell decisions. Many investors get nervous about the market and sell when things are heading down. Conversely, many people feel comfortable getting into the market only when it is high and has been for a while. Unfortunately, these emotional cues prompt buy and sell patterns that are the exact opposite of smart investing practices. Buy low and sell high is the name of the game, but it doesn’t always feel good to do that. Make decisions ahead of time, and not in the moment, of when you plan to buy and sell within your portfolio. 3. Consider adding alternative investments to your portfolio. Alternative investments can add diversity to a portfolio, and also hedge against volatility. They tend to have a low correlation to stocks. Simply put, that means alternatives move in their own direction regardless of the market moving up or down. There are a lot of different types of alternatives, and the amount of alternatives that is right for you is completely dependent upon your own individual circumstances and risk tolerance. The tricky thing about money is that it doesn’t come with instructions! You need a plan. You need a strategy. You need an experienced guide to help design, monitor, and grow your portfolio. The Sterk Financial Team has a specialized program for managing money. Our goal is simple – to help you protect and grow your investments to set yourself up for a successful financial future. Call us to learn how we can take the complexity and uncertainty out of investing, and help create clarity and confidence as you move forward. Alternative strategies are not suitable for all investors. Investors should be aware that alternative investments may be subject to certain fees, create taxable events, may be illiquid and no secondary market may exist. How many years has your business been in Siouxland? We have been in Siouxland for 15 years! What services do you offer? We offer dine-in, to-go and catering. How many years has your business been a member of the Siouxland Chamber of Commerce? We have been members of the Siouxland Chamber for 15 years. What do you enjoy most about being a Chamber member? We enjoy the business contacts that a Chamber membership provides. What is your favorite Chamber event/memory? The Chamber golf outing continues to be our favorite event. What is a fun and surprising fact about your company/business? 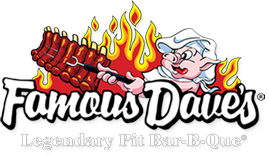 Our “All American Feast” is served on a garbage can lid in tribute to Famous Dave Anderson’s first smoker. What services do you offer? The Family Medicine Center was established in 1975 in collaboration with Sioux City’s two hospitals, Mercy Medical Center and UnityPoint-St. Luke’s. For the past 40 years we have been in the business of caring for the whole family, from newborns to grandparents. 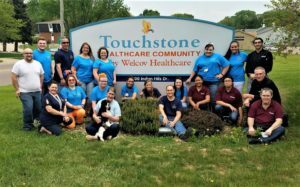 We see patients for prenatal care, baby wellness, vaccinations, school and athletic physicals, acute care visits, annual physicals, regular check-ups, mental health, and much more. We provide extensive onsite laboratory and radiology services. Our pharmacists are available for medication consult and reconciliation. 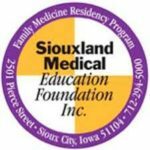 The Siouxland Medical Education Foundation is a 3-year Family Medicine residency program designed to educate and train potential future doctors of Sioux City. The program welcomes 6 new residents each year that are looking to work in one of the many family medicine fields. Many doctors in the tri-state area have come from our program and we are proud to be a part of the continuing education process. We have been a member of the Siouxland Chamber for 36 years! What do you enjoy most about being a Chamber member? We enjoy the diversity of the members, the strong focus on the Siouxland population as a whole and its advocacy in the state and country. What is your favorite Chamber event/memory? 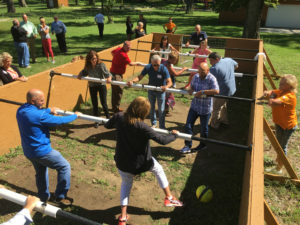 Personally, playing human Foosball at a board retreat and beating Chris McGowan’s team! What is a fun or surprising fact about your company/business? Over 83% of family physicians within 30 miles are graduates of our program. We strive to return full scope physicians to Siouxland communities and hospitals. How many years has your business been in Siouxland? This facility has been in Siouxland since the 1970s with different names and ownerships. What services do you offer? We provide skilled nursing services; short-term rehabilitation after illness or injury, physical, occupational and speech therapy, and long-term care for the elderly population of Siouxland. We have been a member of the Siouxland Chamber since 1974 – 45 years! What do you enjoy most about being a Chamber member? The Siouxland Chamber gives us the opportunity to connect and network with other businesses in our community. The Chamber gives us an avenue to let the business community know about our accomplishments, as well as giving us an easy way to become involved and support community businesses that we might not otherwise come into contact with. What is your favorite Chamber event/memory? The Rush Hour Connect events are so wonderful and we enjoy giving everyone on our team the chance to network and learn more about what is offered in Siouxland. What is a fun or surprising fact about your company/business? We love to have FUN! Check out our Facebook page – or better yet – come up and join us for one of our fun activities or events! How many years has your business been in Siouxland? We have been in Siouxland for three years. What services do you offer? As a trusted real estate agent I offer listing and sales of residential homes. 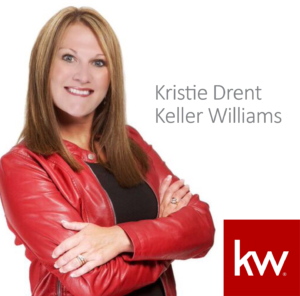 Keller Williams has been a member of the Siouxland Chamber of Commerce for three years. What do you enjoy most about being a Chamber member? What we enjoy most about being a Chamber member is meeting new business owners, the weekly e-mail and the Annual Chamber Golf Classic. What is your favorite Chamber event/memory? Our favorite Chamber memory would be the Golf Outing Monsoon of 2018. We have so many good memories from that day. What is a fun or surprising fact about your company/business? We are the largest real estate brand in the world. How many years has your business been in Siouxland? We have been in Siouxland for nine years, since May of 2009. What services do you offer? We help business owners win disputes, protect their wealth, and spend time on what’s worth it. Goosmann Law Firm is a full-service law firm with locations in Sioux City, Iowa, Sioux Falls, South Dakota, and Omaha, Nebraska. 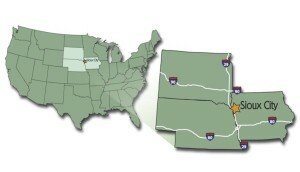 Goosmann Law attorneys are licensed to practice in Iowa, Nebraska, South Dakota, North Dakota, Minnesota, and Missouri. Goosmann Law Firm has been a member of the Siouxland Chamber of Commerce for nine years. What do you enjoy most about being a Chamber member? What we love most about being a Chamber member is connecting with the community and local businesses. What is your favorite Chamber event/memory? Our favorite Chamber event/memory would be hosting the Chamber After Hours and ribbon cutting in 2016 at our newly renovated office in downtown Sioux City. What is a fun or surprising fact about your company/business? We’re a Certified Women’s Business Enterprise and Certified Woman Owned Business. We are a member of the National Association of Minority & Women Owned Law Firms. Our firm was named on the 2018 and 2017 list of the top fastest growing law firms in the United States by the Law Firm 500 Award. In 2017, we were named the “#1 Law Firm in Siouxland” by the Sioux City Journal’s Weekender. Both of our downtown Sioux City buildings are historical with rich history. How many years has your business been in Siouxland? 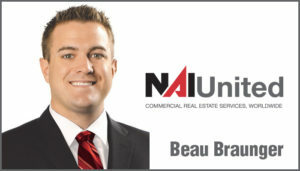 NAI United has been in Siouxland for 19 years. What do you enjoy most about being a Chamber member? I enjoy the professional contacts and networking at Chamber events. What is your favorite Chamber event/memory? My favorite event was the 2017 Annual Dinner and listening to former Navy SEAL Rob O’Neill speak about his experience with Osama bin Laden. What is a fun or surprising fact about your company/business? I am currently serving as the President of the State of Iowa CCIM Chapter. What services do you offer? We offer custom spice blends that pair with plain Greek yogurt as a healthier, savory alternative to traditional dips and condiments. We offer the tear packets that work great for the 5.3 oz cups of yogurt and a value pouch, ideal for the larger tubs of yogurt. All of our blends (Onion Dip, Veggie Dip and Like Mayo) are all natural, gluten free and no MSG. Our veggie and onion dips are also vegan friendly and GMO free. 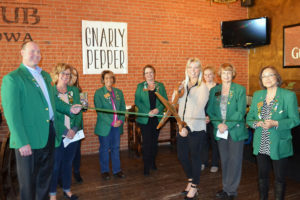 Gnarly Pepper can be purchased at various specialty shops in Siouxland such as Sioux City Gifts & Palmer’s Old Tyme Candy Shoppe. Gnarly Pepper is also available at local Hy-Vee stores in the health section. What do you enjoy most about being a Chamber member? I enjoy being able to reach out to the Chamber about events or people to team up with to suit my business and needs. What is your favorite Chamber event/memory? Our ribbon cutting event – it was a perfect way to introduce our company to Siouxland. What is a fun or surprising fact about your company/business? 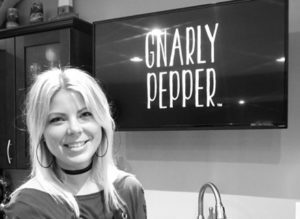 Two years later, Gnarly Pepper is still run by female solopreneur, Sara Gotch along with her other business, LOVOTO Creative Designs. A surprising fact about our product is Our Like Mayo blend can save 1,200 calories PER CUP when mixed with plain Greek yogurt over regular mayonnaise.